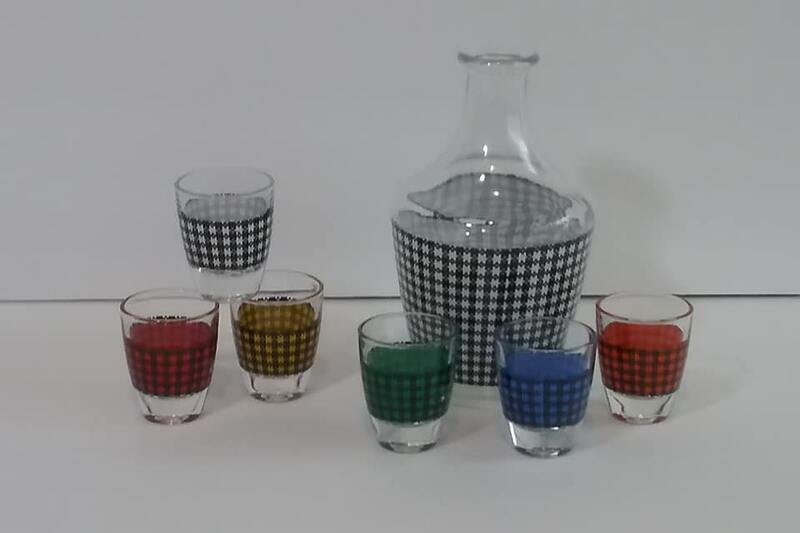 1960's decanter and 6 glasses, liqueur/shot set. 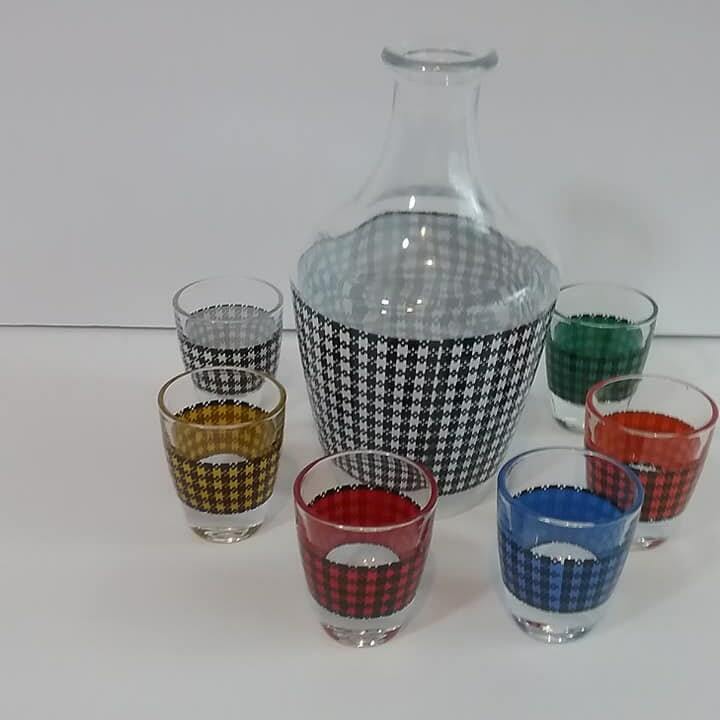 (Decanter does not have a stopper) Made in France, this set is in excellent vintage condition. 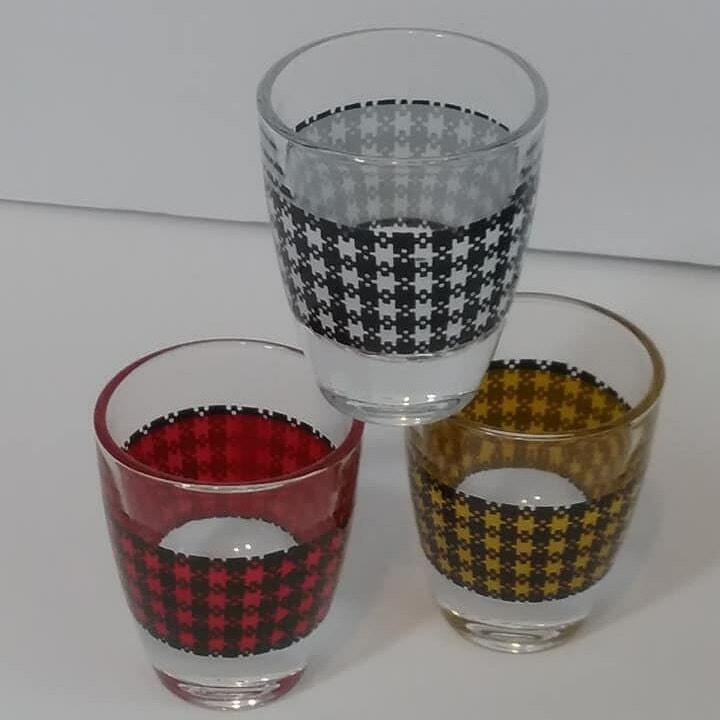 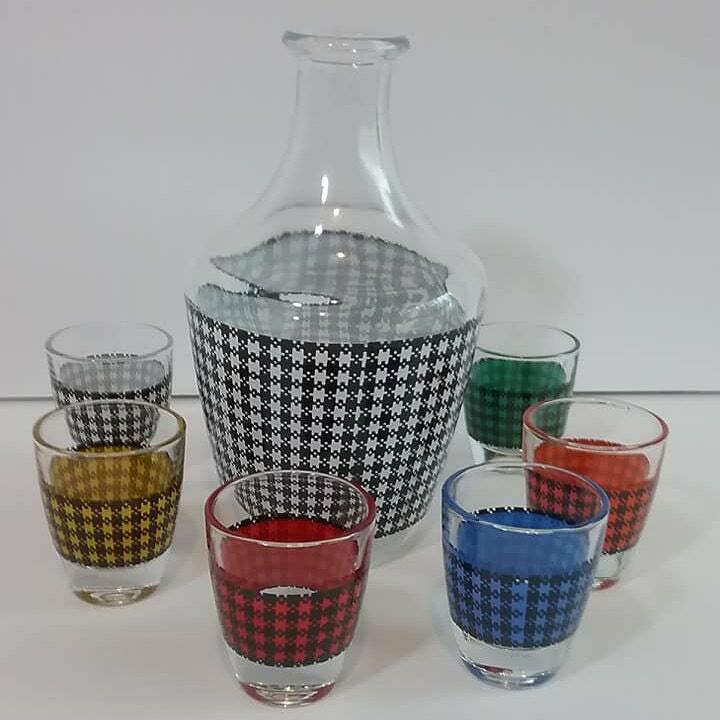 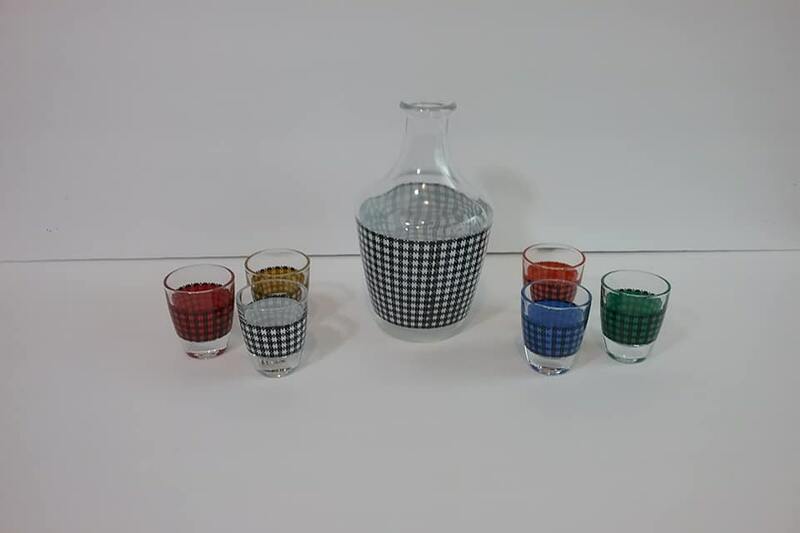 6 different colored shot glasses in a houndstooth pattern. 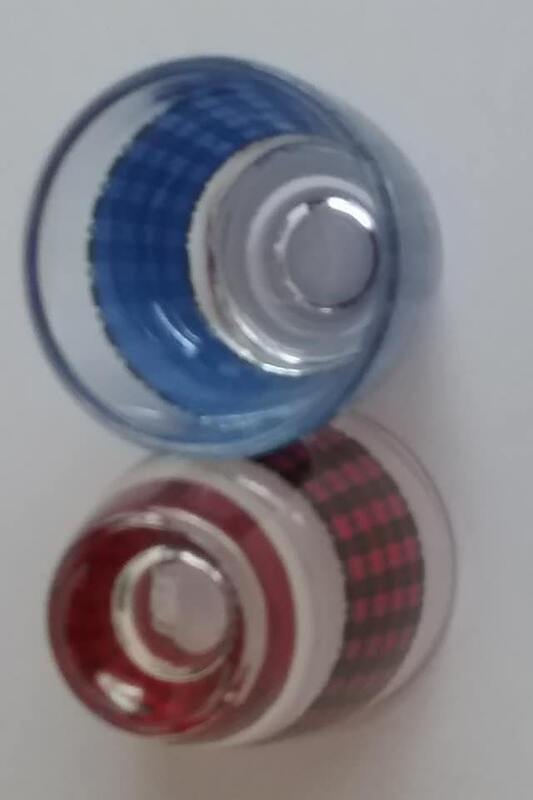 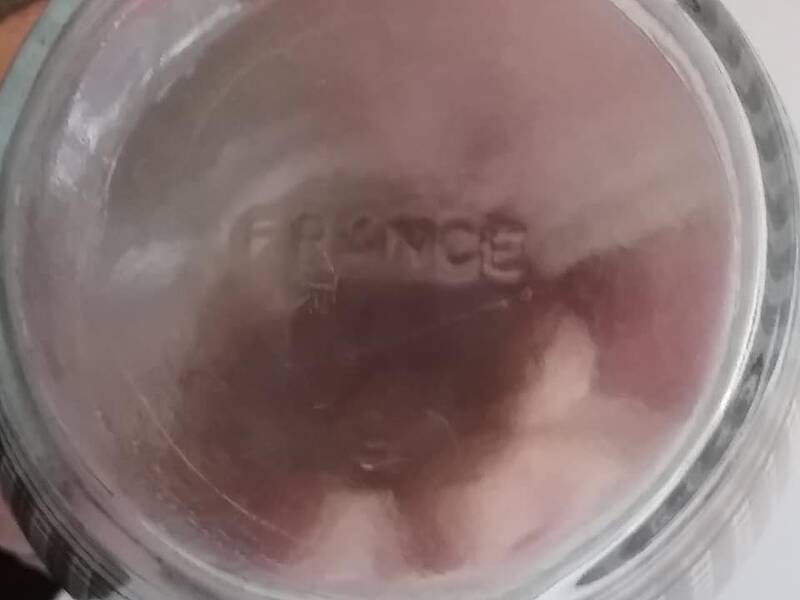 Shot glasses are 2" high with diameter of 1.75". 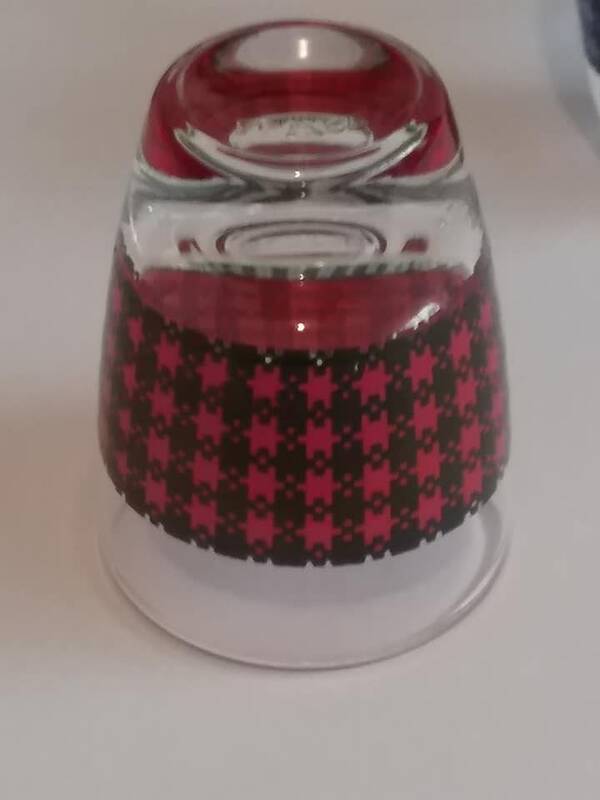 The decanter is 6"tall. 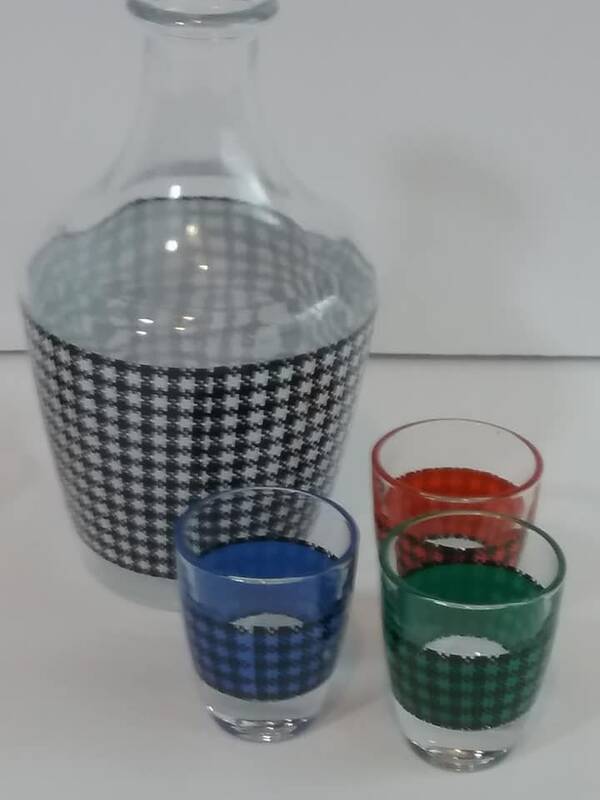 A mid-century mod barware for display or use.....your guests will be sure to say, "tres bon".